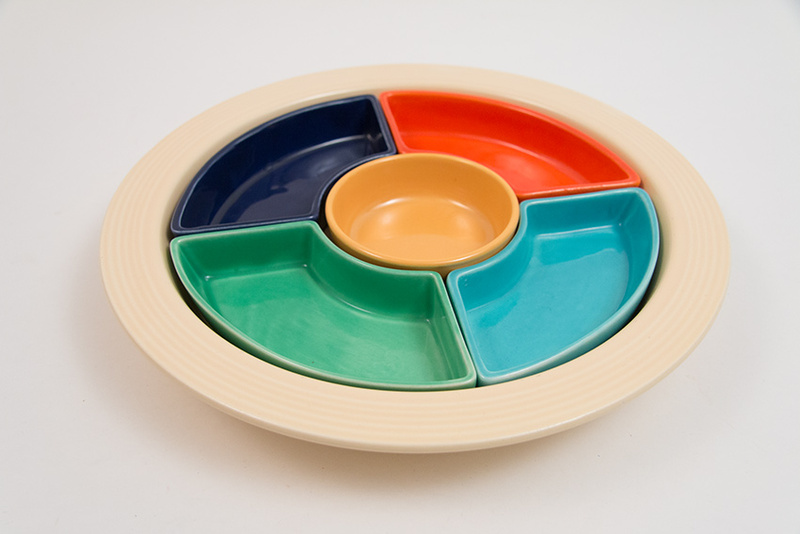 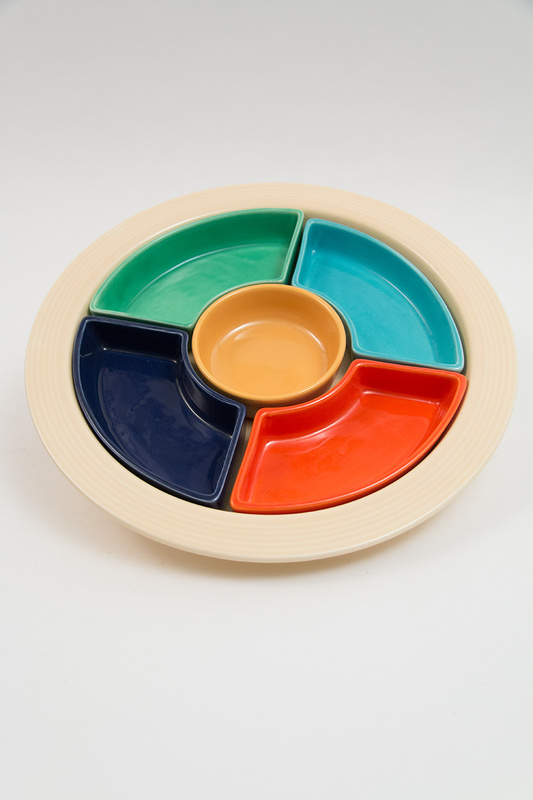 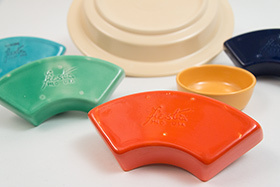 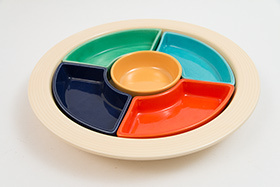 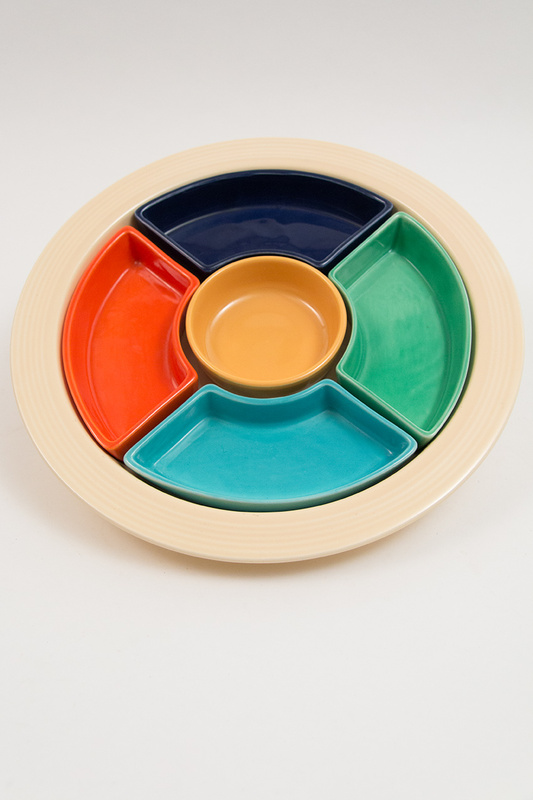 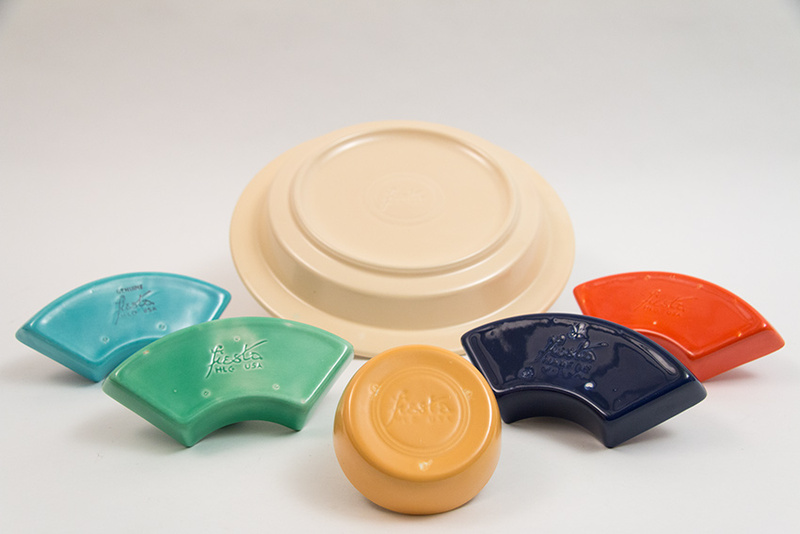 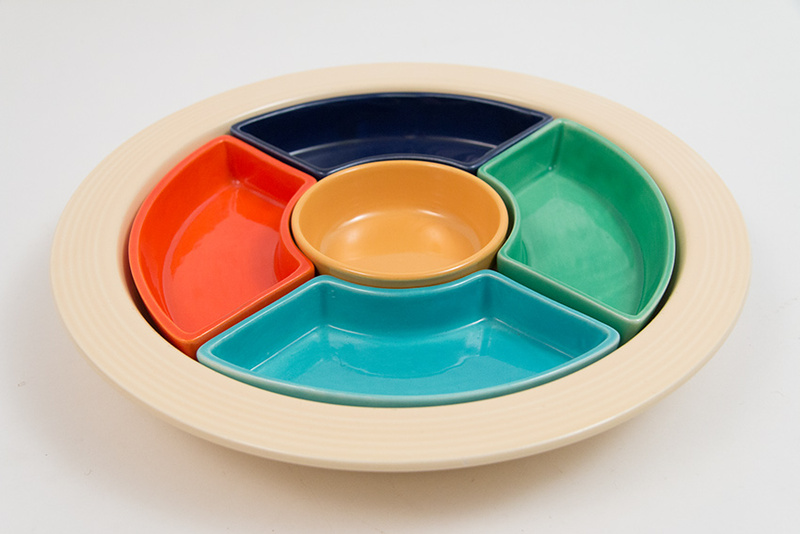 Circa 1936-1943: Fully Marked Set— There may be no greater piece than the Vintage Fiesta relish tray set for mixing and matching and showcasing the delightful brilliant colors that made fiesta ware so popular. Fun and festive, the relish tray is a delight to use if you dare! 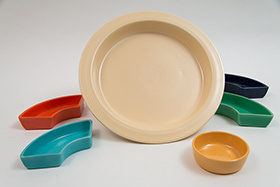 This example boasts six marked pieces and the full set of original glazes. Measures 11" wide and 1 1/2" tall.